Governor Andrew M. Cuomo announced that the New York Power Authority (NYPA) Board of Trustees has approved another round of low-cost power allocations under his statewide ReCharge NY (RNY) program that will support nearly 3,600 jobs. The 7.8 megawatts (MW) of low-cost power will be distributed among 22 business operations and one not-for-profit organization and are expected to leverage more than $75 million in capital investments. The bulk of the latest allocations were made on Long Island. Enterprises in the Finger Lakes, the Capital Region, Central New York, and New York City also received RNY power. The power allocations under the RNY program stem from legislation signed by the Governor in 2011. The program, administered by NYPA, is designed to spur economic development throughout the state by providing low-cost power to businesses and other entities that agree to create or retain jobs. “There’s been much discussion on the subject of including policy in the state budget. It is a red herring. The truth is that every budget boils down to two essential issues: How much money are we spending and how are we spending it? There is no financial judgment that can be made without a corresponding policy judgment. Indeed many of the Legislature’s proposals in their one house budgets have related policy proposals. To see the full statement from the Governor , please click here. Governor Andrew M. Cuomo announced that the New York State Board for Historic Preservation has recommended the addition of 22 properties, resources and districts to the State and National Registers of Historic Places. The nominations reflect the remarkable breadth of New York’s history, ranging from the home of an Albany County man who was a witness to the events leading up to the American Revolution, to the Canajoharie downtown district that took shape along the Mohawk River Valley’s evolving transportation corridor, to the unique Westchester County home built by an out-of-work African-American carpenter on an extremely narrow lot donated by his Italian immigrant neighbor. Being listed in the State and National Register is a boost for property owners to revitalize their buildings, as it makes them eligible for various public preservation programs and services such as matching state grants and state and federal historic rehabilitation tax credits. Spurred by the state and federal historic rehabilitation commercial tax credits administered by the State Historic Preservation Office, developers invested $500 million statewide in 2014 to revitalize properties listed on the National Register of Historic Places, while homeowners using a tax credit invested more than $9.8 million statewide on home improvements to help revitalize historic neighborhoods. Once the recommendations are approved by the state historic preservation office, the properties are listed on the New York State Register of Historic Places and then nominated to the National Register of Historic Places, where they are reviewed and, once approved, entered on the National Register. More information and photos of the nominations is available on the Office of Parks, Recreation and Historic Preservation website. Governor Andrew M. Cuomo announced the opening of the 2015 application period for 43North – the world’s largest business idea competition with $5 million in cash prizes, including a grand prize of $1 million, six $500,000 awards and four $250,000 awards. The competition attracts entrepreneurs from around the world to compete for prizes that will turn ideas with high growth potential into funded enterprises in the Western New York region. The competition operates as part of the Governor’s Buffalo Billion initiative, with $6 million in support from the New York Power Authority (NYPA) and $1 million from Empire State Development (ESD). 43North also held a formal ribbon cutting for its new, permanent incubator space located in the Thomas R. Beecher Jr. Innovation center at 640 Ellicott Street in the heart of the Buffalo Niagara Medical Campus (BNMC). Funded through an $800,000 grant from Empire State Development Corporation and a $50,000 grant from National Grid and featuring a donation of furniture from Buffalo Office Interiors, this unique facility provides office space for the 11 finalists from the 43North inaugural competition in 2014. The 43North incubator is directly next-door to d!g, the BNMC’s co-working space that opened in 2014. Together, these entities are creating a dense cluster of innovation and entrepreneurship. 43North is open to applicants ages 18 and older in any industry, with the exception of retail and hospitality. Applications to the competition will be accepted through June 24, 2015 at 43north.org. To view the 43North 2015 application terms and details, click here. Governor Andrew M. Cuomo announced that the New York Power Authority and SUNY Polytechnic Institute have signed an agreement to create a world-class facility devoted to energy technology innovation and the rapid deployment of smart-grid technology to modernize New York’s electric grid. The facility, to be called the Advanced Grid Innovation Laboratory for Energy (AGILe) will simulate, develop, test and deploy a more integrated grid. AGILe will provide a setting for NYPA to pursue its own grid-related R&D and foster research of interest to transmission system operators, utilities, software and hardware manufacturers, government agencies and universities. The facility would address one of the key recommendations identified by Governor Cuomo’s Energy Highway Task Force, to utilize public-private partnerships to help modernize and enhance New York’s aging energy infrastructure and expedite the commercial development of new technologies. AGILe is also consistent with the Governor’s comprehensive Reforming the Energy Vision plan to revolutionize electric transmission and generation infrastructure while developing a clean, reliable and affordable energy system for all New Yorkers. In the past, energy research labs have traditionally focused on accommodating the needs of large central power plants delivering electricity over long transmission lines to local utilities. Now, due to advances in technology and cost reductions in small-scale, clean generation, there is a need to reimagine the power system to meet the changing needs of an environmentally sustainable, energy-driven economy. Governor Andrew M. Cuomo announced that nearly 300 restaurants across the state have taken the Pride of NY Pledge, almost tripling the number of restaurants actively supporting New York State agricultural products and beverages since last year. The Pledge is part of the Governor’s Taste NY initiative and was created to increase the sourcing, marketing and education of New York State grown and made products. By signing the Pledge, restaurants and chefs from the North Country to New York City have promised to expand their use of New York State products by ten percent or more. Two of the more recent individuals to have taken the pledge include internationally-acclaimed chef Charlie Palmer, and SUNY Geneseo Interim President Carol Long. During the second annual NYS Beer, Wine, Spirits and Cider Summit on April 8, 2014, the Governor set a goal to triple the number of restaurants participating in the Pride of NY Pledge in three years. With the initiative having grown to include more than 300 dining establishments and top chefs in the industry, the State is well ahead of meeting this target by 2017. Governor Andrew M. Cuomo announced that work starts this week on a $10.5 million project to replace four bridges on the Adirondack Northway –Interstate 87 – in Clinton County. The bridges are among the first under contract as part of New York State’s Scour Critical/Flood Prone Bridge Program. The Governor has requested $518 million in funding from the Federal Emergency Management Agency (FEMA) to strengthen 105 bridges through its Hazard Mitigation Grant Program. The scour critical/flood prone bridge program will protect and strengthen critical infrastructure routes across New York State, assuring transportation access in emergencies and enhancing mobility for continued economic growth. FEMA has approved construction funding for 80 bridges totaling $278.4 million. Funding approval for the remaining 25 bridges is anticipated this spring. Two pairs of bridges are being replaced on I-87 northbound and southbound, one set over the Little Ausable River in the Town of Peru and the other over the Salmon River in the Town of Plattsburgh, Clinton County. Luck Bros, Inc. of Plattsburgh is the contractor on the project, which is scheduled for completion in late 2016. During construction, posted speeds will be reduced and a single lane cross-over system will be used to maintain interstate traffic. The goal of the program is to upgrade and enhance the resiliency of 105 scour-critical and flood prone bridges to ensure they are protected from future extreme weather events. The bridges were identified by the State Department of Transportation as the most at-risk for repeated flooding with a focus on structures in the Capital District, Long Island, Mid-Hudson, Mohawk Valley, North Country, Finger Lakes and Southern Tier regions. Governor Andrew M. Cuomo announced that Surface Finishing Corporation, a business located in Camilus and founded by World War II veteran Frederick C. Shibel, Sr. in 1979, has been certified under the State’s Service-Disabled Veteran-Owned Business Act. The company, which sells chemical systems and equipment used for resurfacing metal, is the first one owned by a World War II veteran to be certified under the program, which the State developed to increase economic opportunities for these small businesses through the State contracting process. Once certified under the program, a business becomes eligible for set-asides that will be established on state contracts for services, technology and construction. When a contract has a set-aside that means a certain portion of that contract must be awarded to a service-disabled, veteran-owned company. A certified businesses will also qualify to be a supplier or subcontractor to a company that is a prime contractor on a state contract. The legislation, signed by Governor Cuomo in May 2014, created the Division of Service Disabled Veterans Business Development within the Office of General Services, which oversees the program and certifies eligible businesses. Certification also leads to increased awareness of service-disabled, veteran-owned businesses throughout New York State. Shibel’s company is already certified by the federal government as a service-disabled, veteran-owned business and has done work for the military. A chemical system known as electroless plating was developed by Shibel for the Watervilet Arsenal. He has been able to sell that system on the international market for the past 15 years. Governor Andrew M. Cuomo announced that the Metropolitan Transportation Authority intends to award a four-year, $236.5 million contract to rebuild the Queens Midtown Tunnel, which was heavily damaged during Superstorm Sandy and since has been operating with temporary repairs. The contract – which would be with Judlau Contracting Inc. – was approved by the MTA Bridges and Tunnels Committee and is expected to be approved by the full MTA Board on Wednesday. The work is expected to begin this summer and will include nighttime and weekend tube and lane closures. The bulk of the work is Sandy-related to help restore the Queens Midtown Tunnel to a pre-storm state of good repair after 40 percent of the length of the tunnel was submerged in 12 million gallons of corrosive salt water during the October 2012 storm. It will also include several Capital projects in an effort to streamline the work and minimize closures that would impact traffic. The project is being funded with a portion of the $336 million in Federal Emergency Management Agency grant money received for Sandy-related repairs at the Hugh L. Carey and Queens Midtown tunnels, and through MTA Bridges and Tunnels’ Capital Budget Program. The Sandy repair and restoration work includes replacing all of the major systems in the tunnel, including electrical, lighting, communications, monitoring and control systems. Restoration and mitigation efforts will also be completed at the tunnel’s mid-river pump room where new submersible pumps will be installed. Governor Andrew M. Cuomo announced that online registration is now open for the fourth annual I Love My Park Day, to be held on May 2 at state parks and historic sites across New York. Since its launch in 2012, the number of parks involved in I Love My Park Day has more than doubled, with the number of volunteers taking part tripling. Event details can be found at www.nysparks.com. Sponsored jointly by the New York State Office of Parks, Recreation and Historic Preservation and Parks & Trails New York, I Love My Park Day is a statewide event that improves and enhances New York’s parks and historic sites, bringing increased visibility to the entire park system. 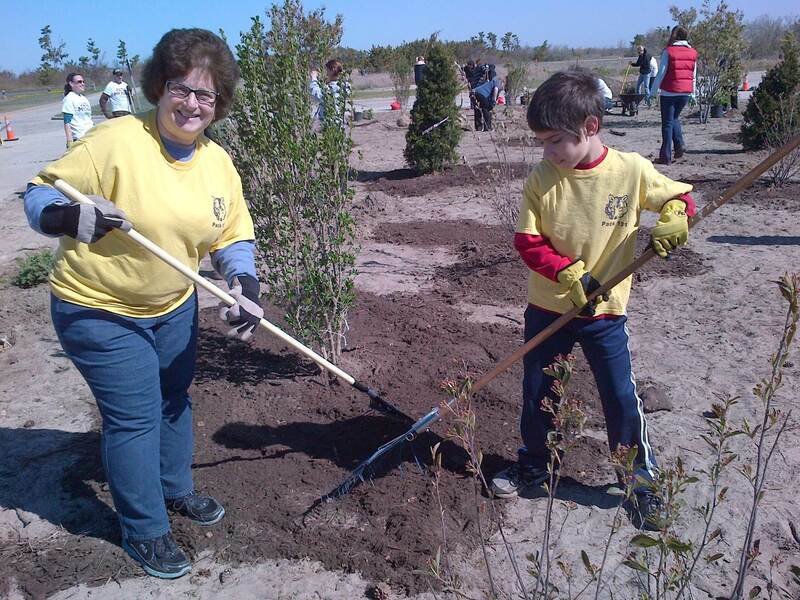 Volunteers will celebrate New York’s park system by cleaning up winter damage and other debris on park lands and beaches, planting trees and gardens, restoring trails and wildlife habitat, removing invasive species, and working on various site improvement projects. Nearly 90 parks and historic sites will participate, from Montauk Point to Niagara Falls. 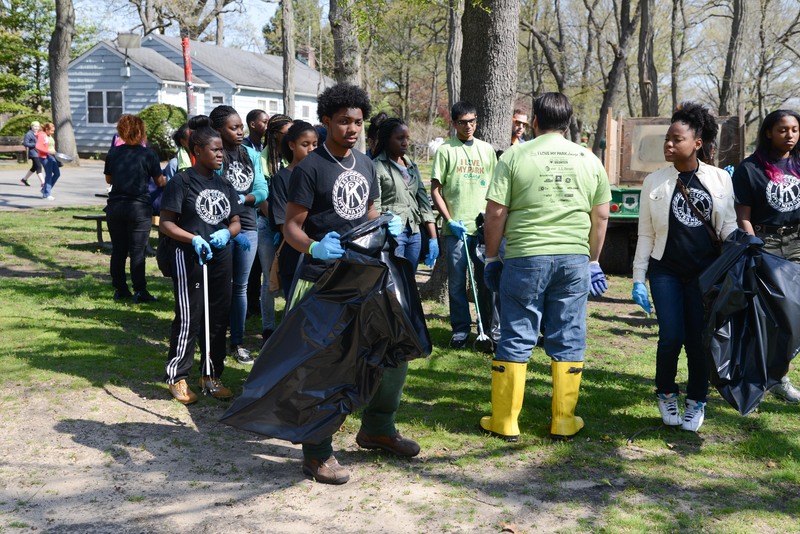 In 2014, more than 6,000 volunteers took part in over 120 cleanup, improvement and beautification projects at more than 80 state parks and historic sites, contributing 12,000 hours of volunteer service. For photos from previous years, see here, here, here and here. The New York State Commission on Volunteer and Community Service is joining the effort again this year to help recruit volunteers, promote the initiative and provide support to projects across the state. State Comptroller Thomas P. DiNapoli announced his office approved 1,786 contracts valued at $2.1 billion and approved more than 2.5 million payments worth more than $8.8 billion in February. His office also rejected 204 contracts and related transactions valued at $1.1 billion and more than 4,000 payments valued at nearly $8.2 million due to fraud, waste or other improprieties. As the state’s chief financial officer, DiNapoli’s office reviews contracts for all state agencies and certain contracts for state public authorities and audits all state payments. This independent review ensures that costs are reasonable, the playing field is level and taxpayers get the best value for their money. The independent audits ensure payments are free from fraud, waste and improprieties. The Comptroller’s office averages 11 days for contract reviews and two days to audit payments. New York State Comptroller Thomas P. DiNapoli and Bronx Borough President Ruben Diaz Jr. encouraged Bronx residents to search for forgotten money belonging to them at Bronx Borough Hall. More than 444,000 accounts valued at nearly $245 million are owed to Bronx residents. Unclaimed funds is money owed to New Yorkers dating back to the 1940s. The accounts are overseen by DiNapoli’s office until the funds can be reconnected with their rightful owners. The money comes from old bank accounts, utility deposits, uncashed checks, insurance claims, stocks and other sources that have been dormant for a number of years. DiNapoli’s office oversees 444,181 unclaimed funds accounts valued at $244,783,169.60 belonging to Bronx residents. There are 31 million unclaimed funds accounts statewide valued at $13 billion. New Yorkers can search for and claim money by using the Comptroller’s easy-to-use online claiming system or by calling the toll-free call center at 1-800-221-9311 to speak with English or Spanish-speaking representatives from 8:00 a.m. through 4:30 p.m.
New York State Comptroller Thomas P. DiNapoli announced that United States Steel Corporation has agreed to the New York State Common Retirement Fund’s request that it publicly report its corporate political spending. As a result of the agreement, the Fund withdrew a shareholder proposal it had filed for consideration at the Fortune 500 company’s annual meeting. The Fund holds approximately 907,577 shares of U. S. Steel with an estimated value of $20 million. “In the aftermath of the U.S. Supreme Court’s decision in Citizens United, investors and the larger public have been left in the dark on the extent of the reach of corporate dollars in politics,” DiNapoli said. Since the 2010 Citizens United ruling, DiNapoli has made it a priority to engage the Fund’s portfolio companies to disclose their political spending. The Fund’s proposal asks companies for a comprehensive and public report that lists their spending on candidates, political parties, ballot measures, any direct or indirect state and federal lobbying, payments to any trade associations used for political purposes, and payments made to any organization that writes and endorses model legislation. Attorney General Eric T. Schneiderman, Mayor Bill de Blasio, and Dominican elected officials and community leaders, announced new leadership for the Dominican Day Parade following the agreement his office obtained from the Parade’s long-time organizer, Nelson Peña. For years, the organizations Peña purported to run had no functioning boards of directors, failed to maintain proper books and records, and failed to file the annual reports nonprofits are required to file under State law. Under the terms of this agreement, Mr. Peña has relinquished all of his positions with the Dominican Day Parade, which is traditionally held in Manhattan on the second Sunday in August. In addition, he has agreed to a minimum three-year ban against assuming any official or leadership role – as a director, officer, employee, agent or otherwise – in the Parade or in any other New York City parade that celebrates the culture and heritage of the Dominican community. He has further agreed to the dissolution of the various not-for-profit entities that he used over the years to operate and raise monies for the Parade, and has withdrawn the application he filed for a City permit to run the Parade in 2015. Following Peña’s agreement to resign, a new not-for-profit organization, Dominican Day Parade, Inc., with a new board of distinguished individuals drawn from diverse sectors of the Dominican-American community, has applied for the City’s permit for the Dominican Day Parade. Under the leadership of the new organization, the Parade this year is scheduled to be held on Manhattan’s Avenue of the Americas on August 9, 2015. New York State Assembly Speaker Carl Heastie and Assemblymember Deborah Glick announced the Assembly intends to pass a bill that guarantees New York State will protect access to women’s reproductive health services, as established by the United States Supreme Court in the decision Roe v. Wade (A.6221). New York’s abortion rights law, the first in the country, was enacted in 1970, three years prior to Roe v. Wade, and lacks the health exception as required by Roe. Abortion care is central to the ability of women to participate equally in society and is a vital part of comprehensive women’s health care. However, New York law lacks critical protections for women’s health. This bill codifies into state law the reproductive rights women have had under federal law since 1973, ensuring that a woman in New York can get an abortion within 24 weeks of pregnancy, or when necessary, as determined by appropriate medical judgment, to protect her life or health. The bill does not change or alter existing state and federal laws that permit a health care provider or institution to refrain from providing an abortion based on religious or moral beliefs. Also, it does not expand the class of individuals who may perform an abortion, nor does it alter the current federal ban on partial birth abortion. The New York State Senate passed legislation (S1782), sponsored by Senator Carl L. Marcellino (R, Syosset), that would ensure timely payment of state income tax refunds. The bill requires the state Department of Taxation and Finance to pay tax refunds within 30 days of receiving a taxpayer’s return, unless there is a discrepancy in the return. As the April 15 deadline for filing tax returns within New York State approaches, it is important that all New Yorkers who overpaid their state taxes receive their refunds in a reasonable amount of time. However, there have been many instances of taxpayers having to wait three months or more before they received their refunds from the state. Under this bill, if the state is unable to pay a tax refund due to a discrepancy in the return, then the state Department of Taxation and Finance would have to provide written notice to the taxpayer and a date when the discrepancy would be resolved. If the state fails to take these steps, it would be liable to pay interest on the refund owed to the taxpayer. The New York State Senate passed legislation for the sixth consecutive year to legalize and regulate mixed martial arts (MMA) competitions in New York, removing a 1997 statewide ban on the sport. The bill (S2159), sponsored by Senator Joseph Griffo (R-C-I, Rome), would authorize professional competitions in New York State and give the State Athletic Commission jurisdiction to regulate professional mixed martial arts promotions, participants, bouts, and exhibitions. The Senate has led the bipartisan efforts to bring MMA to New York by passing legislation each year since 2010. Legalizing MMA was also part of the Senate’s 2015-16 budget resolution. In the past, the Assembly has refused to put the bill to a vote, despite studies that have projected significant economic benefits. A 2013 study reported that legalizing professional MMA would potentially generate $68 million annually in New York from MMA events, $33 million of which would be generated in upstate cities. In addition, training centers could generate $67 million each year from operations, for a total of $135 million in economic activity annually in the state. Today’s bill would help ensure the safety and welfare of professional combative sports participants by establishing the New York State Athletic Commission as the recognized authority to properly regulate bouts. Participants would be required to undergo a comprehensive physical examination, including a clinical neurological and neurophysical exam, in order to obtain or renew a license from the State Athletic Commission. The New York State Senate passed four measures to keep New York’s roadways safe. The bills create tougher crimes to deter criminals who seek to commit automobile fraud by staging car accidents, allow auto insurers to cancel fraudulent polices, close a dangerous loophole that allows drunk drivers to avoid prosecution for leaving the scene of an accident, and enforce tougher penalties for those who drive without a license. The Senate passed legislation (S1471) sponsored by Senator Martin Golden (R-C-I, Brooklyn) that removes the incentive to stage automobile accidents by permitting auto insurance companies to cancel newly issued private passenger automobile insurance policies. The bill would allow retroactive cancellation of the policy if a payment is made with insufficient funds or the identity used to procure the policy turns out to be fraudulent. Another bill to crack down on auto fraud (S3511), sponsored by Senator James L. Seward (R-C-I, Oneonta), would enact “Alice’s Law” which would create new crimes for those who stage a motor vehicle accident. Alice Ross, a 71-year-old wife and grandmother, was killed as the result of a fraud-related, staged auto accident. One of the criminals drove into her car, causing her to lose control of her vehicle, hitting a tree. Legislation (S405), sponsored by Senator Patrick M. Gallivan (R-C-I, Elma), would enact “Alix’s law” which would close a legal loophole and hold intoxicated drivers accountable for leaving the scene of an accident. Lastly, a bill (S247), sponsored by Senator Jack Martins (R-C-I, Mineola), strengthens the penalty for those who operate a vehicle without a license from a violation to a misdemeanor charge of aggravated unlicensed operation of a motor vehicle in the third degree.